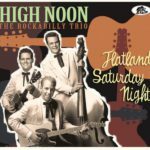 To celebrate the soon to be released High Noon’s collection on Bear Family titled Flatland Saturday Night (August 2015), I dug into my archives and found this 2006 interview with the band’s lead guitar player who also works as a producer (Two Timin’ Three, Jessie Lee Miler, The Starline Rhythm Boys, Croonin’ Kurt…) and leads his own combo. 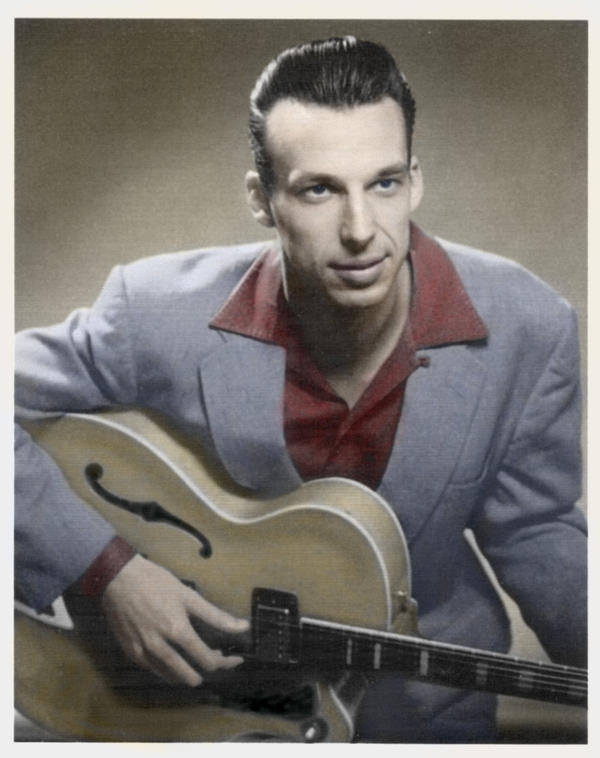 I believe you’re from Washington, did Washington artists such as Billy Hancock or Tex Rubinovitz have something to do in your discovery of rockabilly ? Sean Mencher: Yes, I was born in Washington DC, and Tex Rubinowitz and The Bad Boys are the first live rockabilly band I saw and, well, pretty much changed my life. I saw Tex perform live at an outdoor free concert series at Fort Reno Park, and man, they were rockin’ like crazy and brilliant! I mean Hot Rod Man, Ain’t It Wrong, Feelin’ Right Tonight! 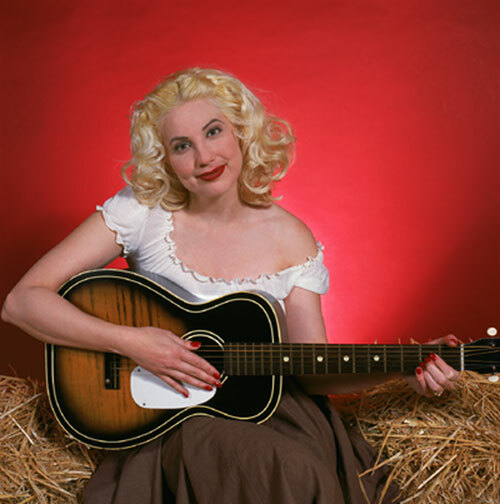 Great songs, and excellent rockabilly music! 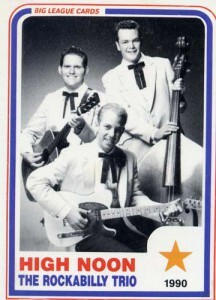 Also, there was a blues quartet called The NightHawks, who influenced my musical direction a great deal too! 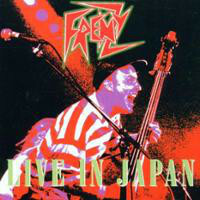 A brilliant band who, in my opinion, deserved much greater recognition! Also, others in the area were Robert Gordon, Johnny Seaton, Danny Gatton, Evan Johns, as well as Billy Hancock… and also, all the great bluegrass music, like The Seldom Scene, and the Johnson Mountain Boys. Plus, the brilliant jazz guitarist Charlie Byrd lived in the area. My Dad, who is an excellent piano player, took me to see Charlie Byrd, Barney Kessel, and Herb Ellis, twice!!! We had a ball. Plus, we went to see the greatest, Andres Segovia. We also went to see the greatest, Chet Atkins!!! So, yes, Washington artists, like Tex Rubinowitz did have something to do with my discovery of rockabilly music. Sean Mencher: Yes, my Dad plays piano, and his Mom, my grandmother, played piano, both very, very well. As far as guitar, not really, except that my Dad does play a few chords and some folk songs like “Froggie Went A-Coutin’.” However, everyone in my family loves music. My Mom remembers seeing Louis Armstrong in New York City, at The Blue Angel nightclub, and what a brilliant show it was. Do you remember the first record you bought by yourself? Sean Mencher: I actually don’t… I remember listening to a lot of Ted Nugent in High School, though. Actually, the first record may have been a Tex Rubinowitz 12″ EP on B-Sharp records, that I still have, called Hot Rod Man! How and when did you start the guitar? 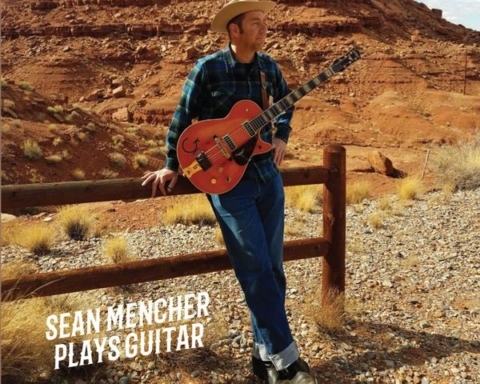 Sean Mencher: I started on the guitar when I was around 18 years old… my Dad had an old acoustic harmony guitar that my younger brother, Marc, was taking lessons on… and he did not go to a lesson and asked if I wanted to go instead, so I did… and then just kind of kept on going with it. Sean Mencher: Yes, Merle Travis, is the one who has made the biggest impact on me. For several reasons, not only is he a brilliant guitarist, with a whole guitar style named after him “Travis Picking,” he was an incredible songwriter. I mean, all you have to do is a little research on him and you realize what a giant he was, creatively. Absolutely brilliant. I could go on and on, however, anyone who is interested can look into the Merle Travis phenomenon on there own. Yes, of course, I love Oscar Moore and Charlie Christian’s guitar playing, how can you not?! Brilliant innovators on the instrument. In fact the ending chord in Shaun Young’s/High Noon’s song “Stranger Things” is an E9b5 chord that I learned off an Oscar Moore recording. Furthermore the riff on Shaun’s song “Rocks Me Right” is a variation on the Charlie Christian “A Smooth One” lick! Anyway, you have great ears to pick that influence up! Let’s talk about High Noon now. How did you meet Kevin and Shaun? Sean Mencher: I met Shaun Young and Kevin Smith in Austin, Texas on 6th Street in 1988. They were playing in Shaun’s Rock-a-billy band called The Shifters, and I was working with a country band called Chaparral. …and we just got to talking and hanging out through a mutual love of the traditional, true rockabilly music sound. We got together one day and in my garage on Ave. C, and just played for hours, song after song, Sun Sessions, Buddy Holly, Carl Perkins, etc… just all stuff we knew in common that we had always wanted to realize, but did not have the right musicians, and instruments! After that, we just played as much as we could, anywhere, anytime, all the time… 25 gigs a month in and around Central Texas was not unusual for High Noon, at that time! Three bands changed the rockabilly as we know it today. Big Sandy, Dave & Deke Combo and High Noon. 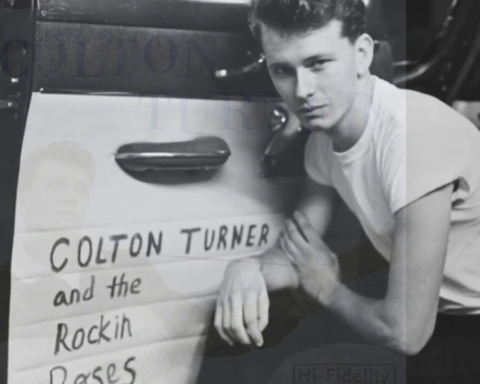 You proved that with an “authentic” sound rockabilly was a today’s thing by writing solid originals. Was it something you wanted to do from the beginning with High Noon? Sean Mencher: Yes, I have always been a fan of great songwriting… and I know that Shaun Young, Kevin Smith, and I have always aspired to high quality songwriting, as well as rockin’ rhythm, and pickin’! You made some great recordings with Willie Lewis of Rock-A-Billy reco. Was he easy to work with? Sean Mencher: As far as I remember, he was easy to work with. When the band went on hiatus, each of you worked on his own project. Tell us about the Sean Mencher Combo. What kind of style do you play? Sean Mencher: The Sean Mencher Combo is similar in sound to High Noon at times, however, there are drums, and usually another soloist, like a fiddle or trumpet. The style we play is truly a combination of influences filtered through slap bass, acoustic rhythm guitar, electric thumb-picked lead guitar, fiddle, and drums. Sean Mencher: Yes, Wayne Hancock does have that kind of attitude, in that he wants to feel the musical solo as well as hear it, it’s not about what you play, so much, as how you play it. With conviction, guts, and pride!!! Wayne is one of the best songwriters I have ever had the pleasure to work with, and a truly one of the greats. Sean Mencher: I am glad that I am known for mt activity as a producer. I enjoy working with artists/songwriters/bands to help them realize their music in a recording. Let’s see, regarding telling you about the bands I produced, I would rather just let the recordings speak for themselves… also, there is probably too much detail to go into to answer this question, as each band is different, with a unique set of circumstances surrounding the recordings I have been involved with. As a producer what is your point of view about recording on vintage equipment? Sean Mencher: My view on vintage equipment is this, I want the recording to sound good to as many people as possible. In other words, I think that Ken Nelson, Capitol Records producer, got excellent sound, and I strive for that sort of sonic quality. I mean I could go on and on… there is a friend of mine in Berlin, Germany, who will not even consider digital cds… he says that as soon as you put the material on cd, it does not matter what you recorded on because it has been converted to digital to reproduce… so, you could record on all this pristine vintage recording equipment and release it on cd and he would argue that it makes no difference because it’s not on vinyl! So, I mean, you can go to either extreme, I am sure there are others who record on the computer… all digital, all the time… the way I work is by trusting my heart and my ears… I focus and listen and try to get the best sound I can for each recording. So far, it has been a combination… usually recording to tape, and then mixing analog, and mastering on computer, and then onto cd. Each situation is different. I remember High Noon released a 78rpm at one point. Who would you like to produce? Sean Mencher: I always thought it would be cool to record Hank III and Chris Scruggs, together, since they are Nashville country music superstar grandsons. What kind of music do you listen at home? What is the last record you bought? Sean Mencher: The last cd I bought is Chet Atkins Solo Sessions. I listen to all types of music at home. I listen to Jessie Lee Miller a lot at home, also, The Starline Rhythm Boys. I have also been listening to Deke Dickerson’s The Melody. Deke never ceases to entertain, impress, and inspire me to get the guitar out!!! He is awesome. Also, I enjoy Jimmy Sutton’s Four Charms new cd, which I will not try to spell out here. Dwight Yoakam’s new Blame The Vain is very good. Dwight is fortunate to have such a brilliant bassman, Kevin Smith, in his band now. 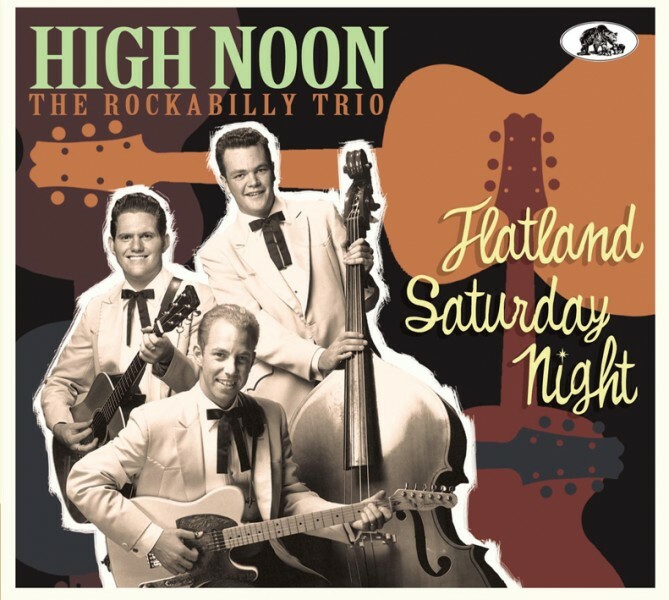 You’ve played with High Noon at the 10th Rockabilly Rave. Another highlight was the more than welcome come-back of Dig Wayne (Buzz & The Flyers) with you on lead guitar. How did you get in touch with him? 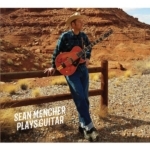 Sean Mencher: Well, I have been a fan of his since I first bought his EP with Buzz and The Flyers. My brother, Marc, located him in Los Angeles to book him at the second Green Bay Rockin’ 50s Fest, and I asked if I could play lead guitar for him, and be the band leader, and it worked out well there. Jerry Chatabox was at Green Bay, and asked if we could perform at The Rockabilly Rave too, and of course, we said yes! Sean Mencher: Trust your ears, and your heart!!! Thanks and all the best!!! Love, Peace and Hairgrease!!! Share the post "Sean Mencher (High Noon, Wayne Hancock, Sean Mencher Combo…)"